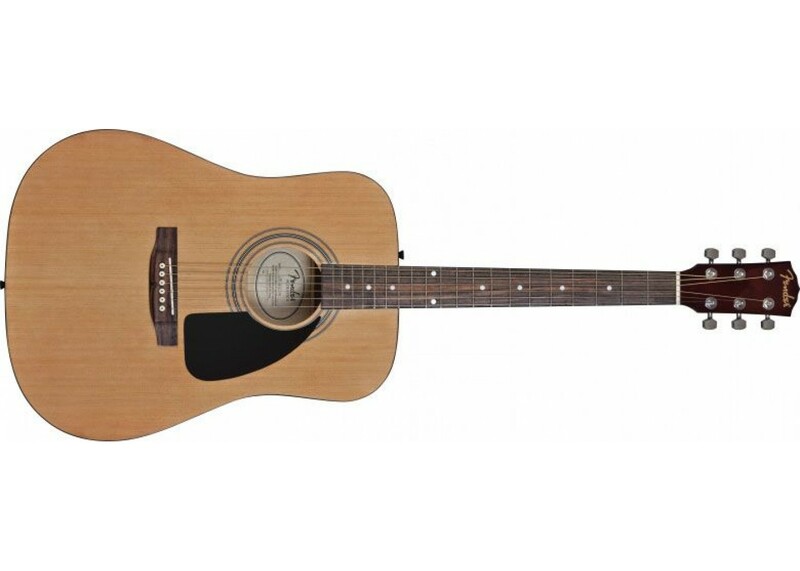 The FA-100 Fender® Acoustic with Gig Bag offers great Fender® sound and tremendous value to everyone. A world of acoustic enjoyment starts right here-a rich-sounding dreadnought acoustic guitar with a padded gig bag for protection and easy transport. 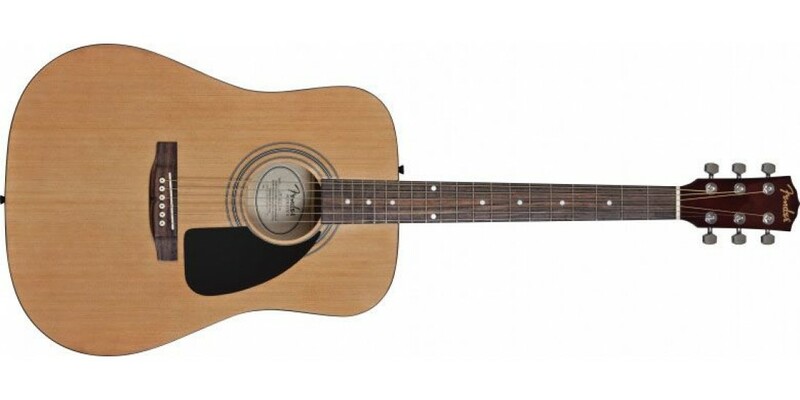 Guitar features include a spruce top with X bracing for full and resonant sound, body binding, exclusive Fender® headstock shape, Fender® pickguard, smooth-playing 20-fret rosewood fingerboard, rosewood bridge with compensated saddle, forward strap button with internal block reinforcement, and chrome hardware.